Gravy is one of the best sauces there are. It is perfect for steaks, burgers, and almost all of our favorite meat dishes. When you think of gravy, you would think of a thick, delicious and flavorful sauce. But what can you do when the gravy you made turned out watery? As we all know, no one wants to have a taste of a watery gravy. Lucky for you, there are plenty of ways on how to make gravy thicker. What are these ways? What are the ingredients that you need to bring back your gravy to its former glory? Well, these are the things that we will be talking about in this article. So, if you are ready, let’s get started! The truth is, there is more than one way on how to thicken the gravy. In fact, I will be sharing four easy ways on how to make the gravy thicker to you in this article. Using flour or cornstarch is the easiest of them all. For sure, you already have flour in your kitchen. After all, isn’t that the ingredient you used in making your gravy? However, the downside of this process is that flour tends to make lumps which may affect the final result. Mix flour or cornstarch with a bit of cold water. 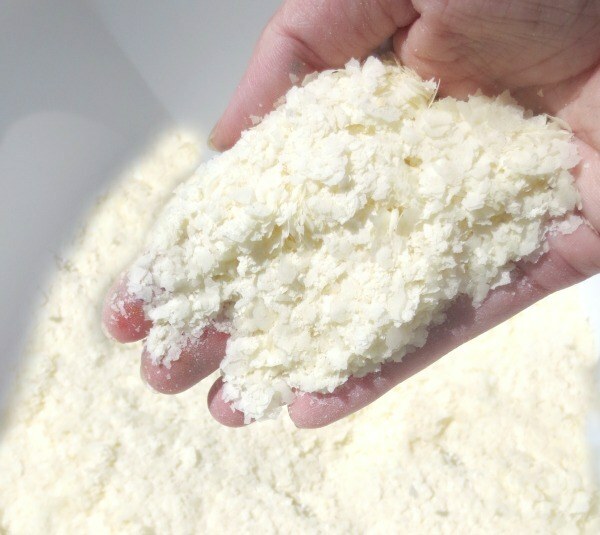 Mix 2 tablespoon of flour or cornstarch with cold water in a separate bowl. Stir the ingredients thoroughly until you have formed a smooth mixture. 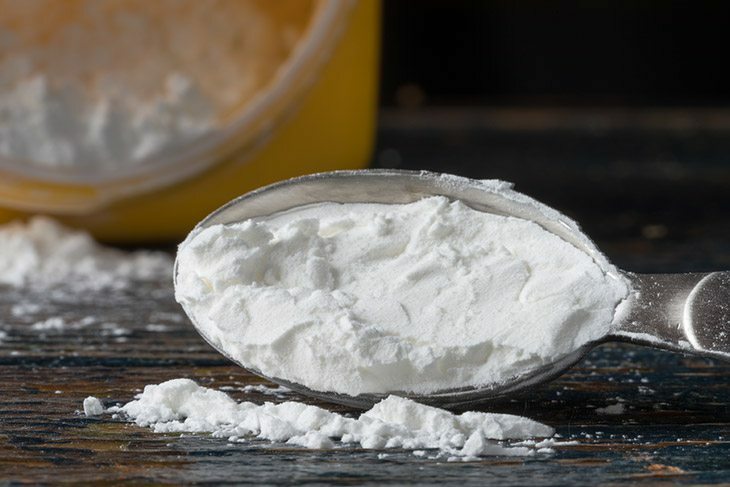 Pro Tip - The exact measurement of the water you will need is not definite, but as a rule of thumb, you need to put more water than the amount of flour or cornstarch in the bowl. Place pan with gravy over medium heat. ​Make sure that the temperature is not too hot because it is very easy for the gravy to burn. Add the water-flour mixture to the sauce. Pro Tip - In this stage, the gravy might form some lumps. To get rid of those lumps, all that you need to do is to give the gravy a good stir. Continue doing that until you have completely removed all lumps. For those who are not aware of what a roux is, it is a thick of butter and flour. Using this technique may be a bit time- consuming, but at least, no lumps will be formed with this process. Place the pan over medium heat and be careful as the butter tends to get burnt quickly. Add an equal amount of flour to the butter. Mix this right away. Using a wooden spoon, continuously stir the mixture to avoid the formation of lumps. Once the mixture starts to produce froth, remove the pan from heat. Pro Tip - It will take about 3 to 5 minutes before the mixture starts to get frothy. Add the gravy to the mix. After removing mixture from heat, pour sauce into the saucepan. Stir it well. Keep stirring until it starts to thicken. Pro Tip - Make sure that the mixture is fully incorporated in the gravy because it will taste a bit differently if not. Repeat the entire process if you have not yet achieved the thickness that you need. To make the gravy thicker, you can just simply add another batch of roux into it. 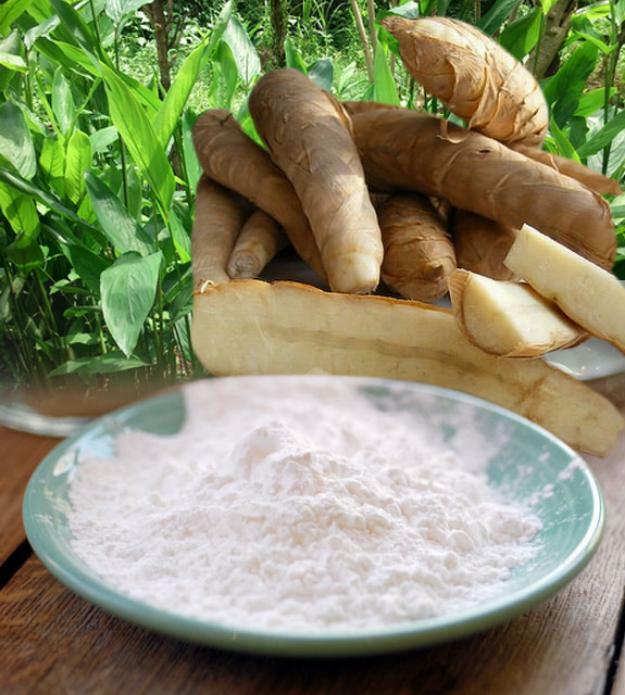 Arrow root is a great alternative for flour because it is also a type of starch, but it is extracted from the rhizomes of tropical fruit. This option is recommended if you are dealing with a lighter colored gravy because the arrow root (when exposed to heat) becomes clear and therefore, it will not affect the color of your gravy. Mix arrow root with cold water to form a paste. As a rule of thumb, you should add 2 teaspoons of arrow root powder for every tablespoon of flour that the recipe need. The water should be less than the amount of arrow root that you have added so you can form a paste out of it. Add the arrowroot paste as you bring the gravy to a boil. Stir the arrow root constantly to prevent lump from forming. Once the gravy has reached its boiling point, remove it from heat. Remove the gravy from heat as soon as you see bubbles forming in the gravy. If you cook it any further, the gravy might become even thinner so monitoring the gravy is a must. Allow the gravy to cool. Wait for 15 minutes for the gravy to cool before you can check if the gravy is already thick enough to your liking. Potato flakes have a particular texture that makes it perfect for thickening beef gravy and other country-style sauces. Bring the gravy to a simmer. Place the saucepan with gravy over medium heat and bring it to a simmer. Add a tablespoon of potato flakes at a time. The truth is, there is no specific amount of potato flakes that you should add per cup of gravy. How much you need to add will depend on how thick you want your gravy to be so the key here is to add a tablespoon of it at a time and stop when you have already achieved the thickness that you need. Switch to low heat once the gravy is thick enough. Take a taste to see if the gravy is thick enough. If it is, reduce heat to low. Due to the extra texture and body that potato flakes may add, you might need to add more salt and seasoning to the thickened gravy to achieve the taste that you want. Add salt. Do this one pinch at a time and taste it in between additions. Make sure to stir the gravy well before tasting it. Pro Tip - If there are other seasonings or herbs that you wish to add to achieve the flavor that you want, add those after you have added the salt to prevent the gravy from being too flavorful and salty. Have you enjoyed our short tutorial? I hope that you did. 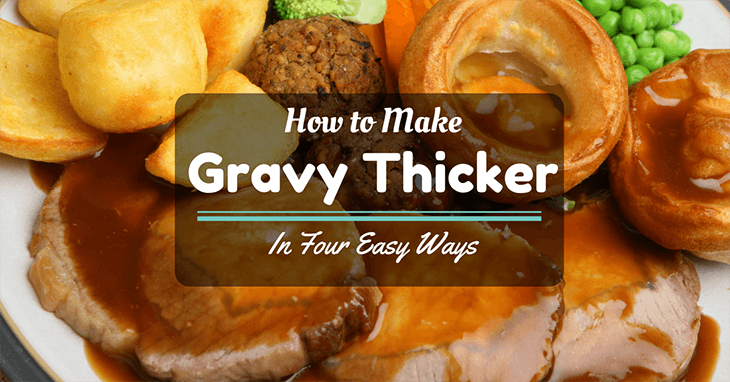 The truth is, I enjoyed sharing this simple guide on how to make the gravy thicker with you. I know that thin and watery gravy is a big no-no. After all, it will water down the taste of your favorite dishes instead of improving it. I have shared a few techniques above, and I also gave you a bit of information as to when and for what type of gravy you should use each method. Just follow the steps to a tee and rest assured; you will achieve the thick and delicious gravy that is perfect for your dish! If you have some questions, please leave a comment below. 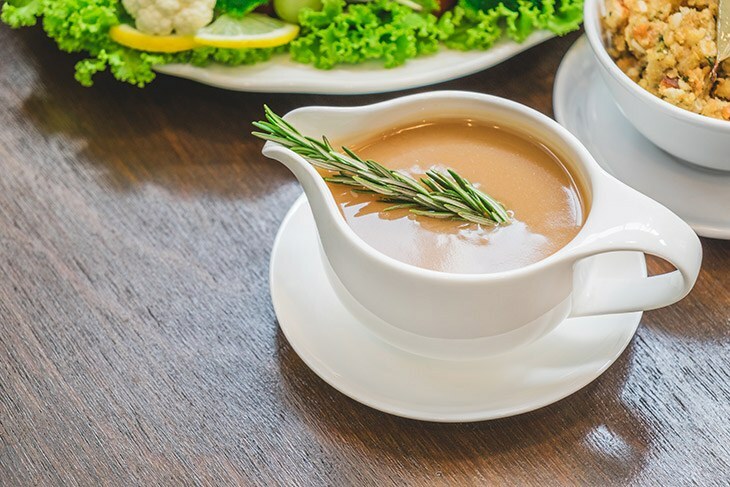 If you have found this article useful, please share them with your friends and help them enjoy their dishes with the most delicious and thickest gravy they can get their hands on! Do You Want To Know What Is Spike Seasoning? Find Out What It Is And How To Use It! Onions How Long are They Good For? What You Need To Know To Find The Best Herb Grinder. All Right Here!